Is it going to be a phone or an iPod touch wannabe? Dell's rumoured Android device - is it the iPod touch rival? 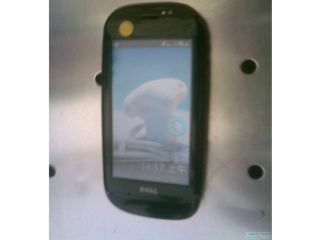 Dell is reportedly working on a new device using the Android OS, although it won't be a fully-functioning mobile phone. According to sources cited by the Wall Street Journal who have seen a prototype, the new device is similar to an iPod touch in that it's a full touchscreen. However, the new device is being dubbed a mobile internet device (MID) or a smartbook, as devices that site between phones and netbooks, and both are phrases that TechRadar really hopes don't catch on. The new handset was snapped earlier this month, although whether this is the actual device is unconfirmed. Dell has been rumoured to be entering the smartphone game for a number of years, but apart from dabbling in PDAs it has yet to firm up a presence. But the sources say this new smartbook (yuck) will possibly even debut this summer, which would be a pretty quick turnaround time for Dell. But given we've seen a number of netbooks based on the Android OS, it would be relatively simple to create an MID based on the same principle.